I saw a picture of a motorcycle that I used to have, and staring at that image made me realize that was the motorcycle I should not have moved along. I wished I still had it. But, I’m happy with my V-Strom. Then, Clinton County Motorsports called to say they just got in a 2018 model. Yellow. Kawasaki KLR650. Of course, I said I’d be out to look. I could not get that KLR out of my mind. I tried for a month to forget about it. And to make things worse, nobody was interested in buying it. It sat there … calling my name … “Brent. Brent, take me home.” So, about a week ago, I did. And four days later was able to take it out for a first ride. And now, when I look at that past picture, I feel better. I was out on the motorcycle yesterday. The weather was gorgeous, although just a little breezy. 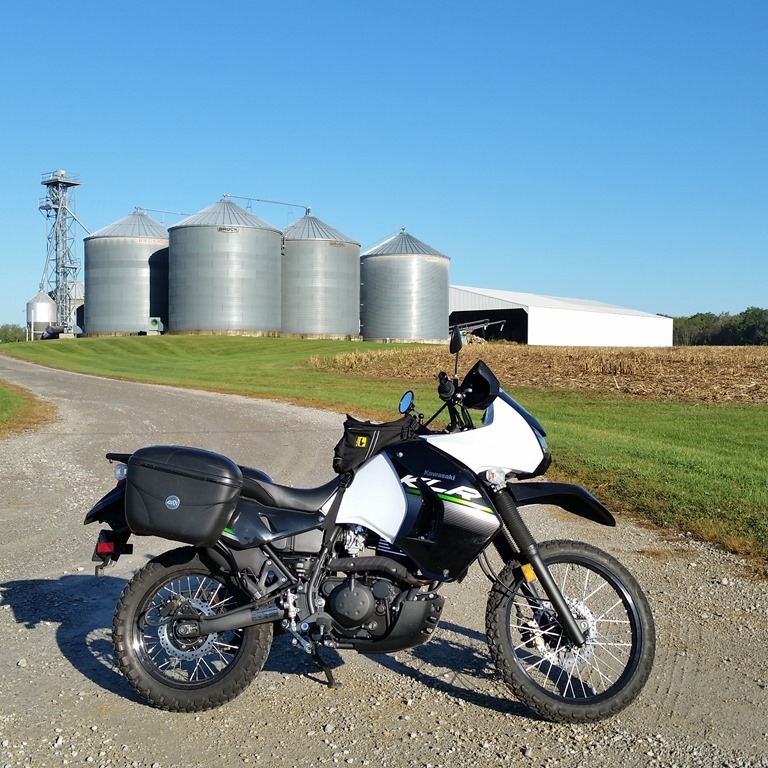 The KLR hummed down some of my favorite back roads. I felt like I could ride forever. I did not feel this way a year ago. In fact, the past year of riding has been somewhat erratic. No long trips; at the most only long day rides to visit family. 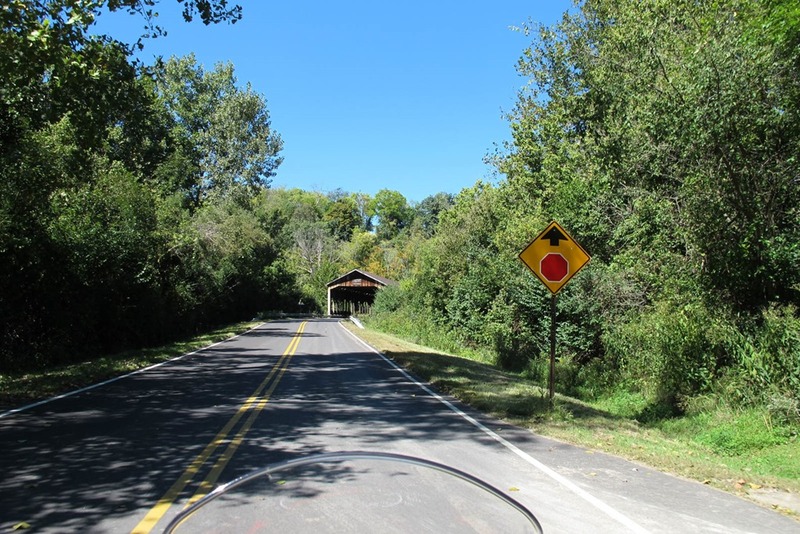 In my post, Soul searching on a motorcycle, I wrote: …”the reason—that thing that seemed to be missing—came to me. 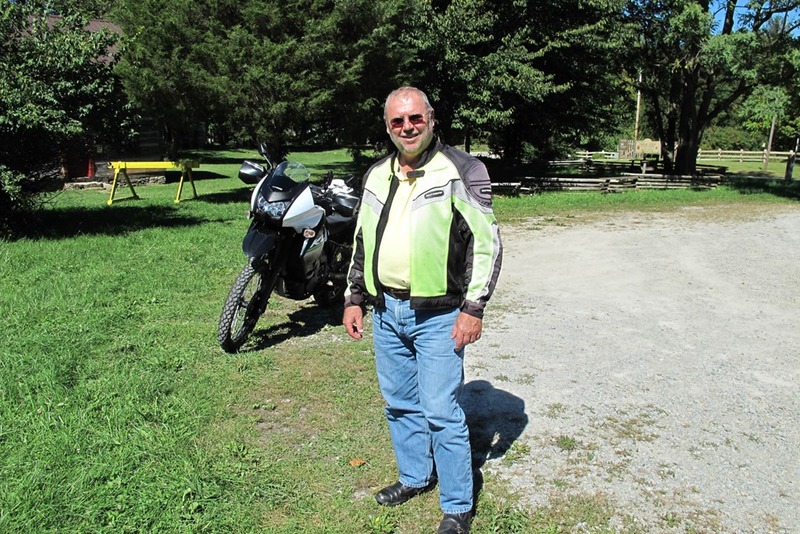 What I discovered: I have lost the joy in motorcycling.” In January, I actually created a flyer for the sale of my V-Strom. I put it aside and pondered posting it at several of my frequent hangouts. 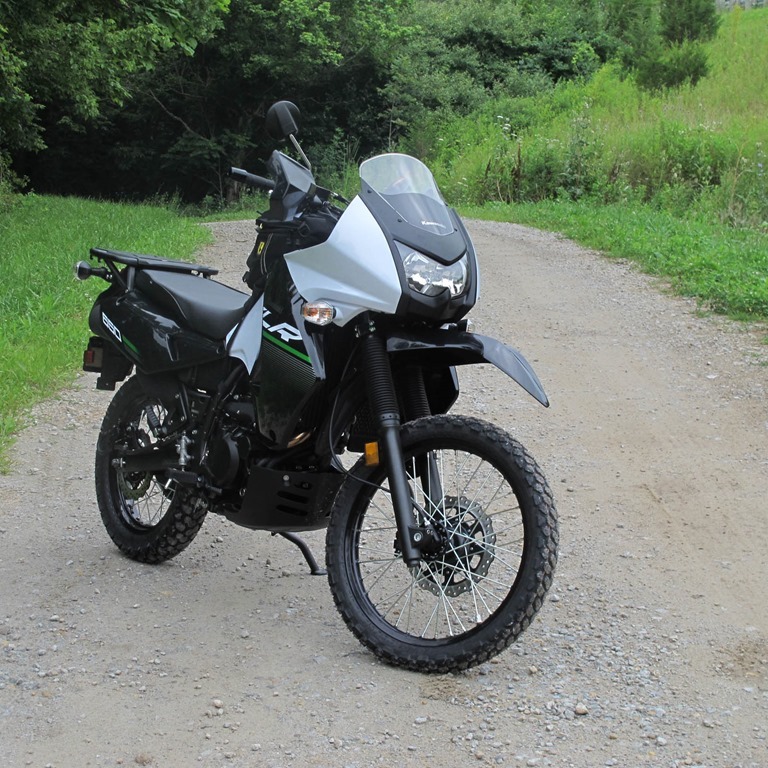 Through the Spring and Summer, I kept searching, and decided not to sell the V-Strom but rather buy another motorcycle—the Kawasaki KLR 650 New Edition—that would give me a different kind of ride. 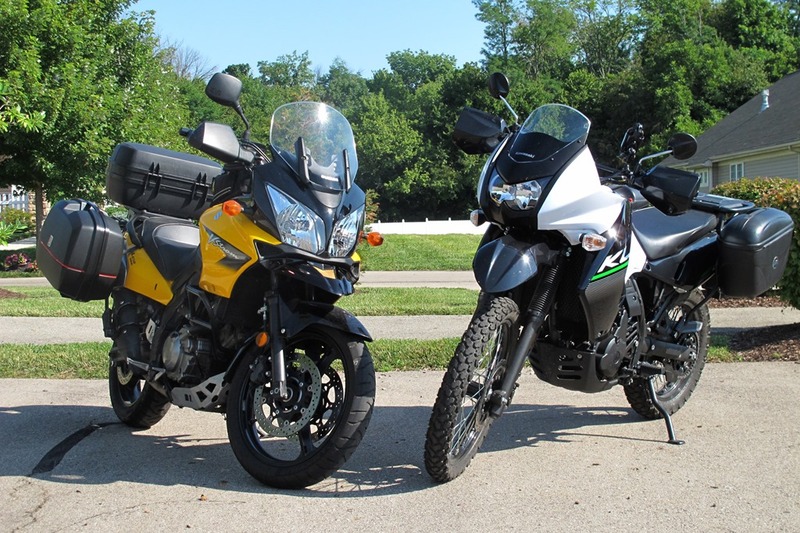 On paper, the V-Strom DL650 and the KLR 650 are very similar. On the saddle, they are quite different. The V-Strom is a very smooth reliable motorcycle with plenty of power. 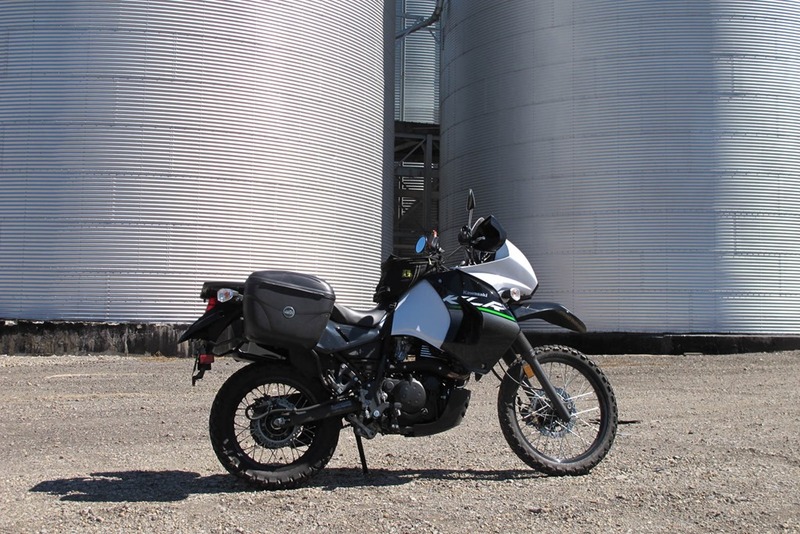 The KLR is like a big dirt bike also capable of running down the highway. The V-Strom is a joy to ride. The KLR is a hoot to ride. Maybe it’s because of the newness, but I have found myself riding the KLR more than the V-Strom. The V-Strom will get the nod in the long distance rides. Somewhere along my route yesterday, with the sun shining down on me and the breeze in my face, I began to think that it was nearly a year ago that I almost quit motorcycling. The rides this year have given me plenty to think about what it is I am doing with a motorcycle. Yes, I believe my riding pattern is changing, but that’s okay. Maybe I’ll return to long-distance tours. Maybe not. The important thing is that I have rediscovered the joy of motorcycling, and it’s a hoot. Finding the joy in motorcycling again has been like remembering that tune you used to listen to all the time, and have rediscovered. It’s like watching that favorite movie that you haven’t seen in a long time—you want to watch it again and again. And so it is with the motorcycles. I’d rather jump on the bike to run an errand than take the car. Now, if I can only resolve that other nagging question from that post a year ago. “Why am I here?” What is my purpose at this stage of my life. Look online for how to break in a new motorcycle, and you will find more opinion on “the correct way” than you asked for. Of course, there is always the manufacturer’s instructions, which can be found in the owner’s manual. My best guess is that the engineers who designed it know the best method for proper break in. So that’s the method I am following for my new Kawasaki KLR 650: keep it under 4,000 RPM for the first 500 miles, and then under 6,000 RPM up to 1,000 miles. It requires some miles, and of course roads. 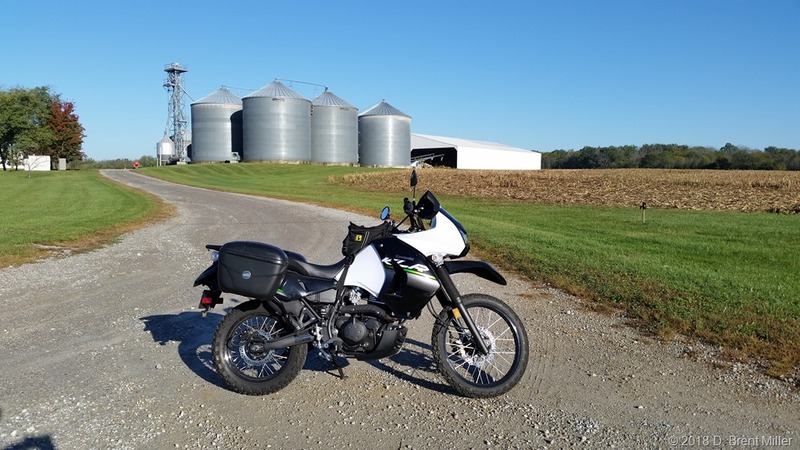 Yesterday, I cruised out to the dealer, Clinton County Motorsports, just to say “hi.” And then, I managed to find a little gravel to test its stability. I was very pleased. The more I ride this KLR 650, the more I like it. It’s going to be a great exploration vehicle. Are you one of those individuals who reads and researches to the Nth degree and ponders your reasoning before you buy something. I am one of those, especially on big-ticket items. 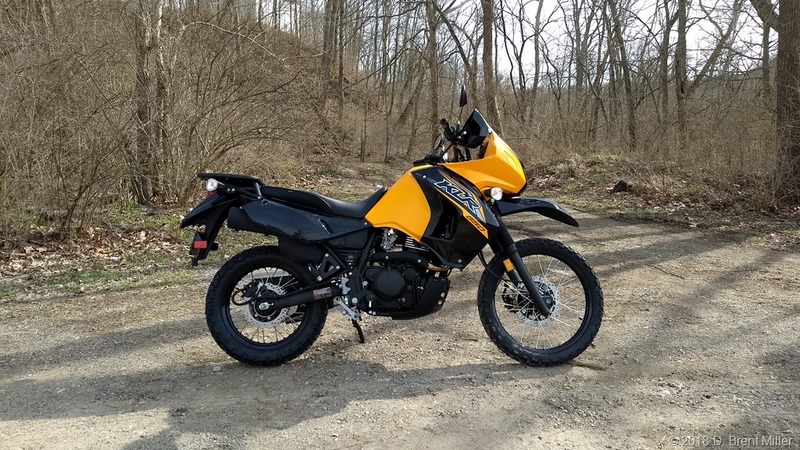 I have looked at other motorcycles for some time, and scrutinized a couple … very closely, reading up on all the forums, basically anyplace I could find credible information and feedback. It’s probably overkill, and may be considered part of my borderline mental health issues. 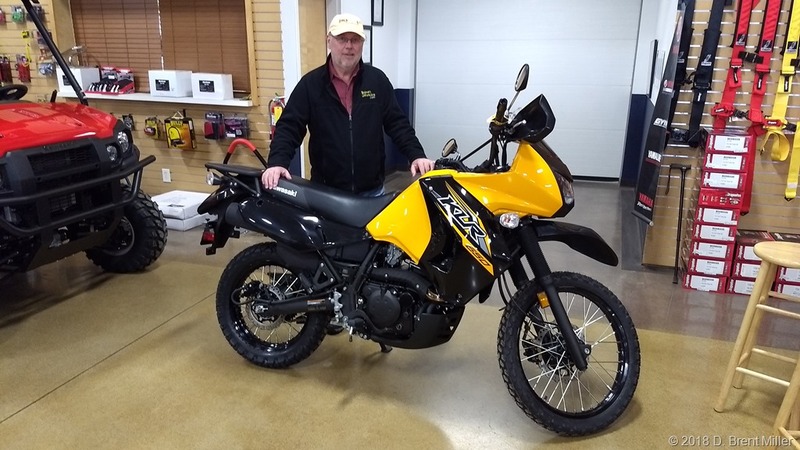 In my last post, I wrote about not buying a KLR, I thought that if I put it down on paper, out there for every one to read, that act alone would be my confirming decision. Instead, that little voice in my head nagged me even harder. I surrendered. 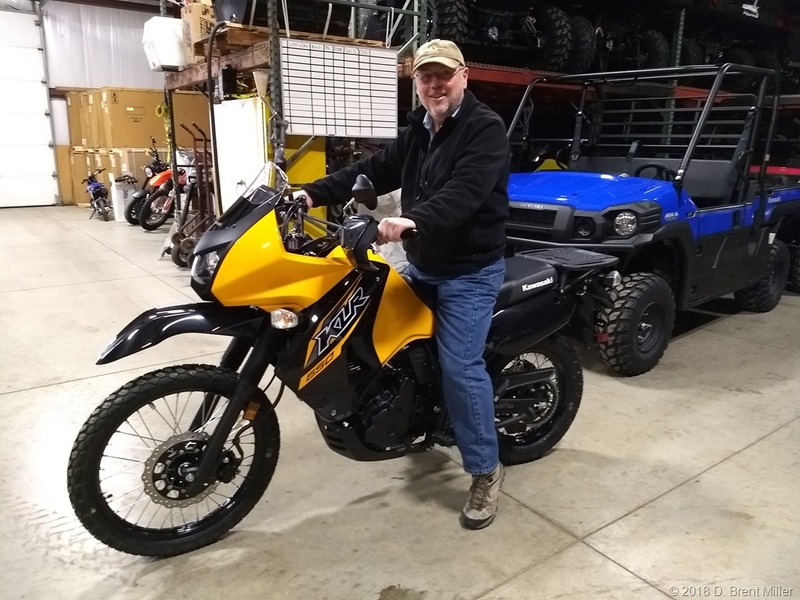 I bought a Kawasaki KLR 650, the 2014 New Edition. Stablemates: my trust V-Strom 650 now has a companion, the new KLR 650 dual sport.